Endot Smoothwall Conduit (Enduct - IDU) is UL Listed under UL Standard 651-A for smoothwall duct to be used as electrical conduit for the installation of UL Listed electrical cables in the underground. Installation must be in accordance with National Electrical Code, NFPA 70 and be direct buried or encased in concrete. 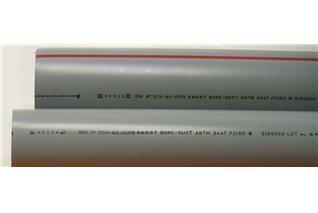 UL Listed 651-A Electrical Conduit cannot be placed above ground unless encased in 2” of concrete. The recommended color is black or black with red stripes. Red identifies the conduit as electrical and black provides UV protection for storage and at points where the conduit may exit the ground. Other colors available. Please note: Telecommunications conduit (IDE products) cannot be used as electrical conduit. 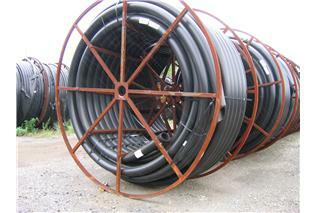 You must order conduit as IDU to receive a UL Listed product.